We worry (and we should worry) about the unintended consequences of increasingly intelligent robots and other AIs participating in our society. Perhaps, if they have ethics, they will anticipate and avoid those destructive consequences. Ethics helps people behave in ways that improve society and the welfare of all of its individual members. But what is ethics? Artificial Intelligence research has provided novel computational tools that have revolutionized the modeling of human intelligence. They have also made it possible to build intelligent agents such as robots. By taking the design stance, and applying our computational tools, can we similarly shed light on the nature of ethics, how it functions in humans, and how it can and should function in robots (and other AIs)? Benjamin Kuipers is a Professor of Computer Science and Engineering at the University of Michigan. He previously held an endowed Professorship in Computer Sciences at the University of Texas at Austin. He received his B.A. from Swarthmore College, and his Ph.D. from MIT. He investigates the representation of commonsense and expert knowledge, with particular emphasis on the effective use of incomplete knowledge. His research accomplishments include developing the TOUR model of spatial knowledge in the cognitive map, the QSIM algorithm for qualitative simulation, the Algernon system for knowledge representation, and the Spatial Semantic Hierarchy models of knowledge for robot exploration and mapping. 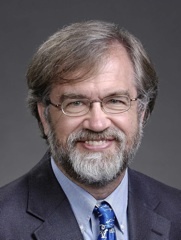 He has served as Department Chair at UT Austin, and is a Fellow of AAAI, IEEE, and AAAS.